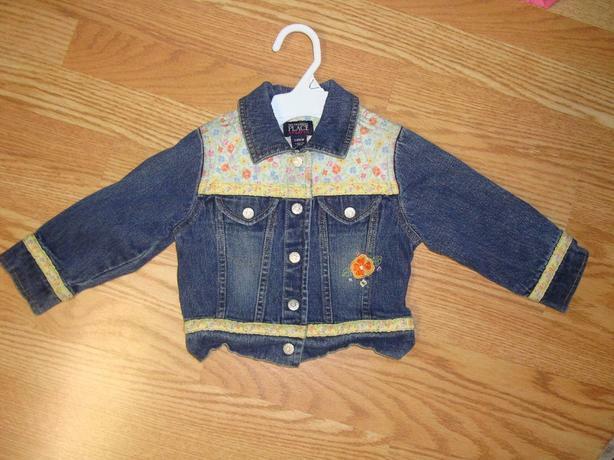 I have a Like New Children's Place flower stretch jean jacket size 24 months for sale! This is in excellent condition and would look great on your child or loved one or to give as a gift. Comes from a non-smoking household. Do not miss out on this excellent opportunity to get this for a fraction of the cost! For more details, please see the pictures or email me. Also, I'm selling quality merchandise in excellent condition. Please see my other listings.